Abstract: Resource scheduling assigns the precise and accurate task to CPU, network, and storage. The aim behind this is the extreme usage of resources. However, well organized scheduling is needed for both cloud providers and cloud users. We propose a cost effective Resource scheduling algorithm that minimizes the utilization cost of the resources while meeting the deadline in cloud computing environment. we are calculating processing cost based on MIPS (Machine Instruction Per Second), For Memory (RAM) and Bandwidth based on MBPS(Megabytes Per Second) and For storage is based on MBs consumed to store the data. Our proposal considers all the essential characteristics of the cloud as well as VM performance variation and acquisition delay. Keywords: Resource management, IaaS cloud, Resource scheduling, Resource discovery, Resource allocation. 1. Amazon Elastic Compute Cloud (Amazon EC2), http://aws.amazon.com/ec2, 2008. 2. Amazon Simple Storage Service (Amazon S3), http://aws.amazon.com/s3, 2008. 4. Yu J, Kirley M , Buyya R. Multi-Objective Planning for Workflow Execution on Grids, 8th IEEE/ ACM International Conference on Grid Computing, IEEE Computer Society, USA, 2007, p.10−17. 6. Zhang F, Cao J, Wu HK. Ordinal Optimized Scheduling of Scientific Workflows in Elastic Compute Clouds, 3rd IEEE International Conference on Cloud Computing Technology and Science, China, IEEE, 2011, p. 1−9. 8. 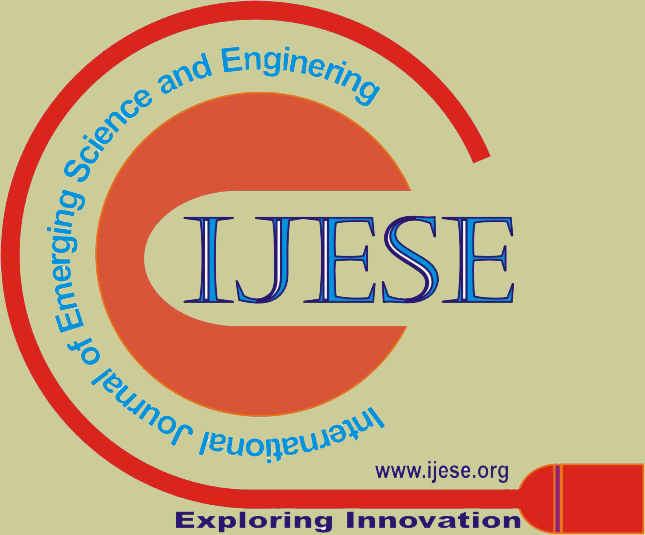 Jasraj Meena, Malay Kumar, And Manu Vardhan, Cost Effective Genetic Algorithm for Workflow Scheduling in Cloud Under Deadline Constraint published in ieee access on cloud computing,vol.,4 ,September 28, 2016. 9. P. Mell, ``The NIST definition of cloud Computing,'' Commun. ACM, vol. 3, no. 6, p. 50, 2010. 11. J. Meena, M. Kumar, and M. Vardhan, ``Efficient utilization of commodity computers in academic institutes: A cloud Computing approach,'' Int. J. Comput., Elect., Autom., Control Inf. Eng., vol. 9, no. 2, pp. 498_503,2015. 12. Kashlev, S.Y. Lu, A system architecture for running big data workflows in the cloud, in: 2014 IEEE International Conference on Services Computing, SCC 2014, pp. 51–58. 17. Resources chedulingforinfras tructureasa service (IaaS) incloud computing: Challenge sand opportunities on 22 April 2016. Syed Hamid Hussain Madni n, Muhammad Shafie AbdL atiff, Yahaya Coulibaly, Shafi’i Muhammad Abdulhamid. Abstract: This paper describes the working of a cycle which works on pneumatic power. A pneumatic cycle uses compressed air as a source of energy for locomotion. In this system a single acting pneumatic cylinder is operated as a slider crank mechanism which converts the linear reciprocation of the cylinder piston rod into oscillatory motion of the driver crank about the pinion shaft. The Hybrid Bicycle can either be pedaled manually or be run on compressed air. Compressed air is used to turn the real wheel through a slider crank mechanism via a chain and sprocket. This ensures that the pneumatic piston expands for half the revolution and contracts for the other half. A push button valve actuates this mechanism and a flow control valve is used for The actuation of the pneumatic piston used in the slider crank mechanism is controlled by a 5/2 pneumatic directional control valve which in turn is actuated by a push button through cam and follower arrangement connected to the crankshaft. speed control. 4. J.Gary Wood et al. “Design of a low pressure air engine for third world use” 17th Annual Intersociety Energy Conversion Los Angeles, California August, 1982. Journal of Renewable and Sustainable Energy, vol.5, pp. 0531211-0531218. ISSN: 1941-7012. Abstract: The venture is outline and manufacture of force lightweight plane for financial transportation. A lightweight flyer as a lighter than air ship that is bolstered in flight by the dynamic response of the air against its lifting surface ; all lightweight planes adjust to the streamlined rule that make flight conceivable. The lightweight plane is scholarly test joined with the calm and excellence of flying high over the earth are two of the many reasons that individuals both youthful and old get snared on flying lightweight planes .Transportation constitutes nearly 20% of household expenditures, 30% of greenhouse gas (GHG) emissions, and 70% of petroleum utilization. From travel time funds to occupation creation, pay development to property estimation changes, engine vehicle collides with air quality and clamor impacts. The power lightweight flyer use to diminish the time in making a trip and simple to achieve the goal with no deterrent. Keywords: Para engine, Para lightweight plane, Altimeter, Two step strategy, vario meter. 1. Watanabe, T. and Ochi, Y., “Modeling and Simulation of Nonlinear Dynamics of a Powered Para glider,” AIAA ,Guidance, Navigation, and Control Conference and Exhibit, Honolulu, HI, AIAA Paper 2008-7418, Aug. 2008. 2. J. P. Barnes. Flight without fuel regenerative soaring feasibility study. SAE Technical Paper 2006-01-2422, August 2006. 3. Carter, David, et al. 'Autonomous Guidance, Navigation, and Control of Large Parafoils', 18th AIAA Aerodynamic Decelerator Systems Technology Conference and Seminar. 4. ‘Guidance, Navigation and Control of a Small-Scale Para motor’ Jack Umenberger Australian Centre for Field Robotics .The University of Sydney, NSW, 2006, Australia. 5. A Practical Method to Estimate the Aerodynamic Coefficients of a Small-Scale Paramotor ‘ Razvan-Viorel MIHAI*, Radu Calin PAHONIE, Ioana-Raluca EDU *Corresponding author Millitary Technical Academy, Department of Integrated Systems of Aviation and Mechanics, Bucharest. 6. ‘’ Evaluating The Geometric Shape Of A Flying Paraglider ’’ Klaus Hanke, Stefan Schenk Surveying and Geoinformation Unit, University of Innsbruck, Australia. 8. Karthikeyan, R, Solaimuthu, C & Balakrishnan, N 2014, ‘A study of performance and emissions of diesel engine fuelled with neat diesel and heat hydnocarpus pentandra biodiesel’ IOSR Journal of Mechanical and Civil Engineering, vol. 10, issue.2, pp. 53-57, E-ISSN: 2278-1684, P-ISSN: 2320-334X. 9. Balakrishnan, N & Mayilsamy, K 2014, ‘Effect of compression ratio on CI engine performance with biodiesel and producer gas in mixed fuel mode’, Journal of Renewable and Sustainable Energy, vol.6, pp. 0231031-02310313. ISSN: 1941-7012. 10. Investigation of the glider load spectra Miroslaw Rodzewicz Warsaw University of Technology Nowowiejska 24, 00-665 Warsaw, Poland. Abstract: In this paper, we propose an efficient brain tumor detection method and an automatic segmentation method, which can detect tumor and locate it in the brain MRI images. Automatic and reliable segmentation methods are used in order to manage large spatial and structural variability among brain tumors. Also, some pre-processing steps are used for tumor detection purpose. The automatic segmentation method is based on convolution neural networks. We present an automatic cell detection framework using sparse reconstruction and adaptive dictionary learning. The automatic cell detection results are compared with manually annotated ground truth and other state-of-the-art cell detection algorithms. Keywords: Cell detection, MRI images. 1. S. Bauer et al., “A survey of mri-based medical image analysis for brain tumor studies,” Physics in medicine and biology, vol. 58, no. 13, pp. 97– 129, 2013. 2. N. Louis et al., “The 2007 who classification of tumours of the central nervous system,” Acta neuropathologica, vol. 114, no. 2, pp. 97–109, 2007. 3. G. Van Meir et al., “Exciting new advances in neuro-oncology: The avenue to a cure for malignant glioma,” CA: a cancer journal for clinicians, vol. 60, no. 3, pp. 166–193, 2010. 4. Tabatabai et al., “Molecular diagnostics of gliomas: the clinical perspective,” Acta neuropathologica, vol. 120, no. 5, pp. 585–592, 2010. 5. Menze et al., “The multimodal brain tumor image segmentation benchmark (brats),” IEEE Transactions on Medical Imaging, vol. 34, no. 10, pp. 1993–2024, 2015. 6. N. J. Tustison et al., “N4itk: improved n3 bias correction,” IEEE Transactions on Medical Imaging, vol. 29, no. 6, pp. 1310–1320, 2010. 7. L. G. Nyul, J. K. Udupa, and X. Zhang, “New variants of a method ´ of mri scale standardization,” IEEE Transactions on Medical Imaging, vol. 19, no. 2, pp. 143–150, 2000. 8. M. Prastawa et al., “A brain tumor segmentation framework based on outlier detection,” Medical image analysis, vol. 8, no. 3, pp. 275–283, 2004. 9. H. Menze et al., “A generative model for brain tumor segmentation in multi-modal images,” in Medical Image Computing and ComputerAssisted Intervention–MICCAI 2010. Springer, 2010, pp. 151–159. 10. Gooya et al., “Glistr: glioma image segmentation and registration,” IEEE Transactions on Medical Imaging, vol. 31, no. 10, pp. 1941–1954, 2012. 11. Kwon et al., “Combining generative models for multifocal glioma segmentation and registration,” in Medical Image Computing and Computer-Assisted Intervention–MICCAI 2014. Springer, 2014, pp. 763–770. 12. S. Bauer, L.-P. Nolte, and M. Reyes, “Fully automatic segmentation of brain tumor images using support vector machine classification in combination with hierarchical conditional random field regularization,” in Medical Image Computing and Computer-Assisted Intervention– MICCAI 2011. Springer, 2011, pp. 354–361. 13. C.-H. Lee et al., “Segmenting brain tumors using pseudo–conditional random fields,” in Medical Image Computing and Computer-Assisted Intervention–MICCAI 2008. Springer, 2008, pp. 359–366. 14. R. Meier et al., “A hybrid model for multimodal brain tumor segmentation,” in Proceedings of NCI-MICCAI BRATS, 2013, pp. 31–37. 15. “Appearance-and context-sensitive features for brain tumor segmentation,” in MICCAI Brain Tumor Segmentation Challenge (BraTS), 2014, pp. 20–26. 16. Zikic et al., “Decision forests for tissue-specific segmentation of high-grade gliomas in multi-channel mr,” in Medical Image Computing and Computer-Assisted Intervention–MICCAI 2012. Springer, 2012, pp. 369–376. 17. S. Bauer et al., “Segmentation of brain tumor images based on integrated hierarchical classification and regularization,” Proceddings of MICCAIBRATS, pp. 10–13, 2012. 18. S. Reza and K. Iftekharuddin, “Multi-fractal texture features for brain tumor and edema segmentation,” in SPIE Medical Imaging. International Society for Optics and Photonics, 2014, pp. 903 503–903 503. 19. N. Tustison et al., “Optimal symmetric multimodal templates and concatenated random forests for supervised brain tumor segmentation (simplified) with antsr,” Neuroinformatics, vol. 13, no. 2, pp. 209–225, 2015. 20. Geremia, B. H. Menze, and N. Ayache, “Spatially adaptive random forests,” in 2013 IEEE 10th International Symposium on Biomedical Imaging (ISBI). IEEE, 2013, pp. 1344–1347. 21. Pinto et al., “Brain tumour segmentation based on extremely randomized forest with high-level features,” in Engineering in Medicine and Biology Society (EMBC), 2015 37th Annual International Conference of the IEEE. IEEE, 2015, pp. 3037–3040. 22. Islam, S. Reza, and K. M. Iftekharuddin, “Multifractal texture estimation for detection and segmentation of brain tumors,” IEEE Transactions on Biomedical Engineering, vol. 60, no. 11, pp. 3204–3215, 2013. 23. R. Meier et al., “Patient-specific semi-supervised learning for postoperative brain tumor segmentation,” in Medical Image Computing and Computer-Assisted Intervention–MICCAI 2014. Springer, 2014, pp. 714–721. 24. Y. Bengio, A. Courville, and P. Vincent, “Representation learning: A review and new perspectives,” Pattern Analysis and Machine Intelligence, IEEE Transactions on, vol. 35, no. 8, pp. 1798–1828, 2013. 25. Y. LeCun, Y. Bengio, and G. Hinton, “Deep learning,” Nature, vol. 521, no. 7553, pp. 436–444, 2015. 26. Krizhevsky, I. Sutskever, and G. E. Hinton, “Imagenet classification with deep convolution neural networks,” in Advances in neural information processing systems, 2012, pp. 1097–1105. 27. S. Dieleman, K. W. Willett, and J. Dambre, “Rotation-invariant convolution neural networks for galaxy morphology prediction,” Monthly Notices of the Royal Astronomical Society, vol. 450, no. 2, pp. 1441– 1459, 2015. 28. D. Ciresan et al., “Deep neural networks segment neuronal membranes in electron microscopy images,” in Advances in neural information processing systems, 2012, pp. 2843–2851. 29. D. Zikic et al., “Segmentation of brain tumor tissues with convolution neural networks,” MICCAI Multimodal Brain Tumor Segmentation Challenge (BraTS), pp. 36–39, 2014. 30. Urban et al., “Multi-modal brain tumor segmentation using deep convolution neural networks,” MICCAI Multimodal Brain Tumor Segmentation Challenge (BraTS), pp. 1–5, 2014. 33. M. Lyksborg et al., “An ensemble of 2d convolution neural networks for tumor segmentation,” in Image Analysis. Springer, 2015, pp. 201– 211. 34. Rao, M. Sharifi, and A. Jaiswal, “Brain tumor segmentation with deep learning,” MICCAI Multimodal Brain Tumor Segmentation Challenge (BraTS), pp. 56–59, 2015. Segmentation Challenge (BraTS), pp. 13–24, 2015. 37. M. Shah et al., “Evaluating intensity normalization on mris of human brain with multiple sclerosis,” Medical image analysis, vol. 15, no. 2, pp. 267–282, 2011. 38. L. Nyul and J. Udupa, “On standardizing the mr image intensity scale,” ´ Magnetic Resonance in Medicine, vol. 42, no. 6, pp. 1072–1081, 1999. 39. Y. LeCun et al., “Backpropagation applied to handwritten zip code recognition,” Neural computation, vol. 1, no. 4, pp. 541–551, 1989. 40. “Gradient-based learning applied to document recognition,” Proceedings of the IEEE, vol. 86, no. 11, pp. 2278–2324, 1998. 41. X. Glorot and Y. Bengio, “Understanding the difficulty of training deep feedforward neural networks,” in International conference on artificial intelligence and statistics, 2010, pp. 249–256. 42. K. Jarrett et al., “What is the best multi-stage architecture for object recognition?” in Computer Vision, 2009 IEEE 12th International Conference on. IEEE, 2009, pp. 2146–2153. 43. L. Maas, A. Y. Hannun, and A. Y. Ng, “Rectifier nonlinearities improve neural network acoustic models,” in Proc. ICML, vol. 30, 2013. 44. N. Srivastava et al., “Dropout: A simple way to prevent neural networks from overfitting,” The Journal of Machine Learning Research, vol. 15, no. 1, pp. 1929–1958, 2014. 46. M. Kistler et al., “The virtual skeleton database: An open access repository for biomedical research and collaboration,” Journal of Medical Internet Research, vol. 15, no. 11, Nov 2013. 48. Bastien et al., “Theano: new features and speed improvements,” Deep Learning and Unsupervised Feature Learning NIPS 2012 Workshop, 2012. 49. Bergstra et al., “Theano: a CPU and GPU math expression compiler,” in Proceedings of the Python for Scientific Computing Conference (SciPy), Jun. 2010. Keywords: Social Media, Problem Based Learning, Universities. 1. Nafukho, F. M., & Machuma, H. M. (2013). The World Bank’s Africa Virtual University Project: a revisit. European Journal of Training and Development, 37 (7), 646-661. 3. Jean, L. S., Khan, M. A., Yongli, H., Hoon, T. C., De Silva, M., Siong, L. K., et al. (2010). Integration of e-Learning Tools with the Problem-based Learning Approach to Enhance Teaching and Learning in Undergraduate Bioinformatics Modules. Technology in Higher Education:The State of The Art . 5. Guy, R. (2012). The Use Of Social Media For Academic Practice: A Review Of Literature. Kentucky Journal Of Higher Education Policy And Practice , 1 (2/7). 7. Griesemer, J. A. (2014). Using Social Media To Enhance Students’ Learning Experiences. Quality Approaches In Higher 8 Education , 3 (1), 8-11. 8. Karami, M., Karami, Z., & Attaran, M. (2013). Integrating problem-based learning with ICT for developing trainee teachers’ content knowledge and teaching skill. 9. Park, S. H., & Ertmer, P. A. (2007). Impact of Problem-Based Learning (PBL) on Teachers’ Beliefs Regarding Technology Use. Journal of Research on Technology in Education , 40 (2). 12. Hussain, I., Gulrez, N., & Tahirkheli, S. A. (2012). Academic Use of Social Media: Practices and Problems of University. 2012 International Conference on Education and Management Innovation. IACSIT Press. 13. Chen, H., & Doty, P. (2005). A conceptual framework for digital libraries for k–12 mathematics education: part 1, information organization, information literacy, and integrated learning. The Library Quarterly , 75 (3), pp. 231-261. 15. Boyd, D. M., & Ellison, N. B. (2007). Social Network Sites: Definition, history and scholarship. Journal of Computer Mediated Communication, , 210-230. 17. Weise, K. (2004). Technology And Problem Based Learning (Pbl). Lesley University: Unpublished. 18. Becker, H. J. (2000). Findings from the Teaching, Learning, and Computing Survey: Is Larry Cuban Right? Center for Research on Information Technology and Organizations , 8 (51). 19. Howard, B. C., McGee, S., Schwartz, N., & Purcell, S. (2000). The experie nce of constructivism: Transforming teacher epistemology. Journal of Research on Computing in Education , 455-465. 20. Walker, A., Recker, M., Robertshaw, M. B., Olsen, J., Leary, H., Ye, L., et al. (2011). Integrating Technology and Problem-based Learning: A Mixed Methods Study of Two Teacher Professional Development Designs. The Interdisciplinary Journal of Problem-Based Learning , 5 (2), 70-94. 21. Intel Corporation. (2007). Designing Effective Projects: Characteristics of Projects. 22. Jimoyiannis, A. (2010). Designing and implementing an integrated technological pedagogical science knowledge framework for science teachers’ professional development. Computers & Education , 55 (3), 1259-1269. 23. So, H.-J., & Kim, B. (2009). Learning about problem based learning: Student teachers integrating technology, pedagogy and content knowledge. Australasian Journal of Educational Technology , 25 (9), 101-116. 24. Njoroge, R. (2013). Impacts Of Social Media Among The Youth On Behavior Change: A Case Study Of University Students In Selected Universities In Nairobi, Kenya. Unpublished Masters Thesis. 25. Bosch, T. E. (2009). Using online social networking for teaching and learning: Facebook use at the University of Cape Town. Communication: South African Journal for Communication Theory and Research , 35 (2), 185-200. 26. Smile Action Research Project. (2013). Challenges And Opportunities For Schools And Teachers In A Digital World. European Schoolnet.27. Global Social Media Specialists. (2015). Social Media In Africa. 32. Oradini, F., & Saunders, G. (2008). The Use Of Social Networking By Students And Staff In Higher Education. Ilearning Forum, Paris. Http://Www.Eifel.Org/Publications/Proceedings/Ilf08/Contributions/Improving-Quality-Of-Learning-Withtechnologies/Oradini_Saunders.Pdf. 33. Irwin, C., Ball, L., Desbrow, B., & Leveritt, M. (2012). Students’ Perceptions Of Using Facebook As An Interactive Learning Resource At University. Australasian Journal Of Educational Technology , 28 (7), 1221-1232. 34. Akman, İ., & Turhan, Ç. (2016). Factors Influencing Social Media Usage For Learning And Teaching Purposes. International Journal on New Trends in Education and Their Implications , 7 (3). 35. Chung, S. (2010). Factors influencing the use of social media in learning: A case of Wikipedia. ICL2010, (pp. 490-500). Hasselt. 36. Churchill, D. (2009). Educational Applications Of Web 2.0: Using Blogs To Support Teaching And Learning. British Journal Of Educational Technology , 40 (1), 179-183. 37. Tien, L. T., Roth, V., & Kampmeier, J. A. (2002). Implementation of a Peer-Led Team learning instructional approach in an undergraduate organic chemistry course. Journal of Research in Science Teaching, 39(7), 606–632. 39. Dunn, L. A. (2013). Teaching In Higher Education: Can Social Media Enhance The Learning Experience? Interdisciplinary Science Education, Technologies And Learning - The University Of Glasgow. 40. Muriithi, P. (2005). A framework for integrating ICT in the teaching and learning process in secondary schools in Kenya. Msc. Thesis submitted at the University of Nairobi, School of Computing and Informatics. 41. Baird, D. E., & Fisher, M. (2005-2006). Neomillennial User Experience Design Strategies: Utilizing Social Networking Media To Support “Always On” Learning Styles. J. Educational Technology Systems, 34 (1), 5-32. 42. Murumba, J., Micheni, E., & Njuguna, A. (2015). Evaluating Preparedness for Social Networks Integration into Learning: A Case Study of Inoorero University. IST-Africa 2015 Conference Proceedings. IIMC International Information Management Corporation. Abstract: This project describes the design and fabrication of Segway transporter vehicle. The Segway is based on the principle of inverted pendulum that will keep an angle of Zero degrees with vertical at all times. The Segway is an intelligent vehicle which uses accelerometer to detect the motion of wheels, so that rider can accelerate, brake or steer the vehicle. This Segway is eco-friendly industrial transporter which carries load upto100kg including rider and load in trolly attached at front end. This kind of vehicle is interesting since it contains a lot of technology relevant to an environmentally friendly and energy efficient transportation industry. This thesis describes the development of a similar vehicle from scratch, incorporating every phase from literature survey to planning, design, vehicle construction and verification. The main objective of the project is the cost reduction of existing system with added user interface of real time clock, load in the trolley, direction and battery level indicator. The rider also gets warning with alarm on low battery .The rider controls are supposed to be natural movements leaning forward, backward and right-left; tilting of the handlebar and switch buttons also. Keywords: AVR Atmega 328, Accelerometer, RTC, LCD Display, DC Motor, Motor Driver. 3. B. Browning, P. Rybski, J. Searock, and M. Veloso, “Development of a soccer-playing dynamically-balancing mobile robot,” ser. Proc of the IEEE Intl Conf on Robotics and Automation, 2004, pp. 1752–1757. 4. B. Szatm´ary, J. Fleischer, D. Hutson, D. Moore, J. Snook, G. M.Edelman, and J. Krichmar, “A Segway-based human-robot soccer team,”inIEEE International Conference on Robotics and Automation, 2006,this volume, poster submission. 5. P. J. Besl and N. D. McKay,A Method for Registration of 3-D Shapes, IEEE Transactions on Pattern Analysis and Machine Intelligence, Vol. 14, No. 2, pp. 239-256, 1992.